The new Annual Pass programme for Universal Studios Singapore (USS) was finally announced on 6th July 2011 – three days after the pioneer batch of Annual passes expired. Here is their official page. As I found their information to be jumbled – difficult to weigh the cost and benefits of each Annual Pass, I have decided to write this entry to help readers make sense of the new programme. All prices are in Singapore Dollars. Note: The Annual Pass programme has been completely revamped in November 2012. The three Annual Passes documented in this entry are no longer offered. Information here will be kept for reference. Please refer to this entry for the latest programme. Resorts World at Sentosa (RWS) has introduced the new programme this year, which includes a reasonable price adjustment to the Superstar Pass and brings in a new tier known as the Action Pass, which has the same benefits as a Fun Pass but does not have any black-out dates, granting the Passholder 365 days of unlimited access to the park. In the mean time, the price for the entry-level Fun pass has increased by $20 across the board. Click here for the black-out dates for Fun Pass. Terms and Conditions apply for some benefits. Do check the details at the Annual Pass info page. Annual Pass office around this area of the Hollywood zone. In case you’ve forgotten! Universal Studios Singapore offers a $20 renewal discount for holders of existing (and for some, expired) Annual Passes. They can choose to keep or change their current type of Annual Pass. • Renewals requests are accepted from 9 July 2011 onwards. 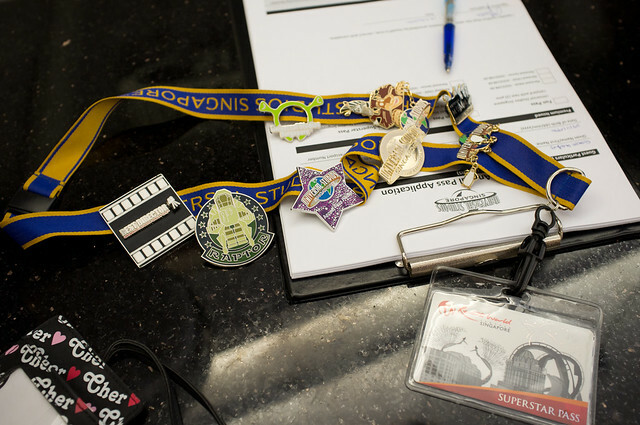 • Annual Passes can be renewed 2 months before the expiration date at the Annual Pass Office located inside the park. • Annual Passes may be renewed up to 30 days after the last day of validity at the Guest Services Office at the entrance of the park. • A renewed Annual Pass will be valid for one year after the last day of the current (or previous) validity period, regardless of the actual date of renewal. • Renewal benefits are non-transferable, non-exchangeable and non-refundable. You may want to refer to the official page for renewal information. Lastly, you might be interested in the other differences between the new and old programmes, including the prices. I have only listed the benefits that have changed at this section; do refer to the chart above for the full list of benefits. The original Superstar Pass introduced a bundle of benefits as it was priced as the ultimate, “first-class” Annual Pass, providing passholders with a “Superstar level” of benefits. With the new reduced price, there are definitely many changes with the pass’ perks. 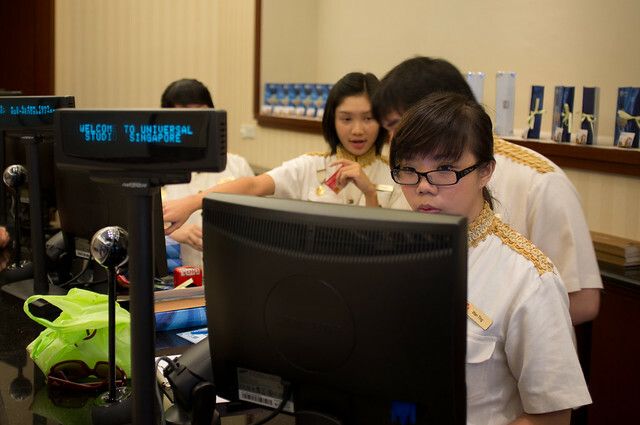 The most important features of the Superstar Pass, such as year-round unlimited admission and unlimited use of Universal Express, remain unchanged. There aren’t many changes for the Fun Pass, however the 10% discount could be an easy draw to bring more friends into the park. These are the pins that passholders are able to choose from. Only two pins (The Purple Star and Gold Globe) are exclusive to Annual Passholders. The rest is available for sale in the park. Q: Can I borrow someone’s Annual Pass to enter the park? A: No, it is not transferable and each Annual Pass has the Passholder’s name and photograph printed on it. The entrance crew has the right to refuse admission if the credentials do not match up. Believe it or not, I’m always asked this question from a lot of people who are new to the park. Q: How do I get an Annual Pass? A: You will need to pay for the full price of the Annual Pass at the park entrance, then proceed to the Annual Pass office with your temporary ticket. After the registration process in the office, you will receive your welcome gift and the actual Annual Pass card. Alternatively, if you have a day ticket and wish to upgrade, see the next question. Q: Can I upgrade my normal day ticket to an Annual Pass? A: Yes, simply visit the Annual Pass office and pay the difference to upgrade to an Annual Pass. However, do note that some promotional tickets, like complimentary passes, may not be upgraded to an Annual Pass. For confirmation, please ask at the Annual Pass office. Q: Is there a “Family” Annual Pass? A: All Annual Passes are designed for personal use only. You will need to buy separate passes for each family member. Q: Are there discounts for Annual Passes? A: Not at this moment. However, you might be able to find people online selling Annual Pass Certificates (or Vouchers) which can be redeemed for an Annual Pass, as low as $240 for a Fun Pass (Adult). However, do take note that the authenticity of such vouchers may be unverified. If you do chance upon a good deal, I would recommend meeting the seller at RWS and verifying that the certificate/vouchers are valid before handling over your money. From now till 2nd January 2012, enjoy 10% off the Fun Pass, Action Pass and Superstar Pass (annual passes), up to 12 per transaction. Promotion Ends 2nd January 2012! Buy at www.rwsentosa.com or at Universal Studios Singapore Park Gates. Q: Which Annual Pass is right for me? A: It really depends on how often you wish to visit the park and your preferred days of the week to visit. The Fun Pass is the cheapest option if you plan your visits during off-peak weekdays and weekends, avoiding all peak days completely. It would allow you to comfortably enjoy the attractions as much as you wish. The Action Pass allows for more flexibility with no black-out dates, but you may be caught in long queues during holidays and other peak seasons. The Superstar Pass completely eradicates any reservations to visit during a very crowded day as you will have priority access to almost all attractions, plus you may actually have an easier time dealing with the free rental period for lockers in the park (see “locker trick” below). However, you will not have any priority access for F&B outlets or stores, so some planning may still be necessary. Q: What are main differences between the Superstar Pass and Fun Pass? A: The main benefits of Superstar Pass that the Fun Pass does not offer: Unlimited access to the park during day-time operations with no black-out dates, unlimited Universal Express access, 10% discount on food and merchandise (5% more than Fun Pass) and complimentary climbs on Amber Rock Climb ($5 for other guests), Festival Hotel room upgrade and rental of strollers and wheelchairs. Q: What are main differences between the Superstar Pass and Action Pass? A: The main benefits of Superstar Pass that the Action Pass does not offer: Unlimited Universal Express access, 10% discount on food and merchandise (5% more than Action Pass) and complimentary climbs on Amber Rock Climb ($5 for other guests), Festival Hotel room upgrade and rental of strollers and wheelchairs. Q: What are main differences between the Action Pass and Fun Pass? A: The Action Pass has the same benefits as the Fun Pass, except that it also includes Unlimited access to the park during day-time operations with no black-out dates. Q: Which are the least-crowded days of the week to visit? A: During an off-peak season, the usual good days are Tuesday, Wednesday, Thursday and Sunday. Peak periods are usually in Late May ~ June and Late November ~ December period (School Holidays) and around public holidays. Of course, there are some unforeseen events, such as family days or foreign public holidays or similar events that do not show up on the park’s monthly calendar. Q: How many times must I visit to “break even”? A: It really depends, but generally after 6-7 visits, the Annual Pass would “pay for itself”, including the more expensive annual passes. More details about this will come in an upcoming entry “Universal Studios Singapore – Tips and Tricks”. Q: What is the “Superstar Pass Locker” trick? A: The free rental period for lockers at Battlestar Galactica and Revenge of The Mummy are linked directly with the waiting time for the attraction. The locker exploit gives Superstar Passholders a huge advantage during visits on high-peak days, as they can leave their bags for a longer span of time without renewing their locker box (opening and rehiring), maximizing the number of ride counts between locker renewals when Universal Express is used by the Superstar Passholder. Q: What is the difference between the Superstar Pass and Universal Express Pass? A: Universal Express Pass is an add-on to day passes and the Fun/Action Annual Passes. 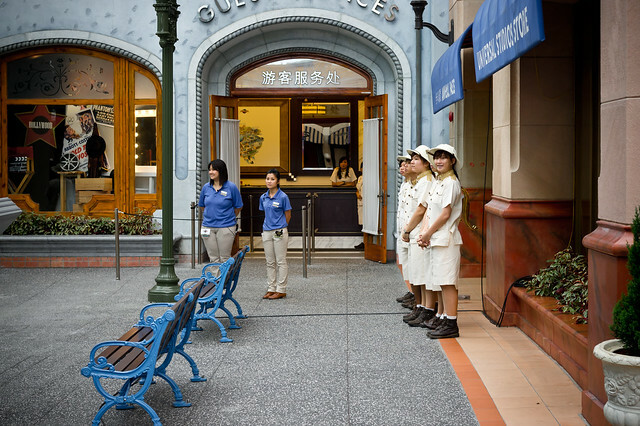 It offers guests priority access to attractions. Each pass can only be used once per attraction. 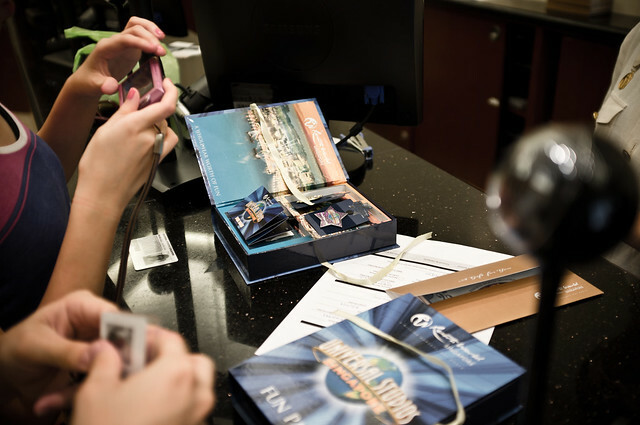 The Superstar Pass offers unlimited use of Universal Express. Q: What is this “VIP Turnstile”? A: The VIP Turnstile is located at the left end of the entrance gateway to the park. It is for Annual Passholders and rather possibly, VIP Tour guests. It is only available in the first three hours after the park opens. Usually there is no queue at this turnstile, which is a godsend to Annual Passholders – The regular turnstiles sometimes have lines leading up to the Universal Globe! By offering the passes at 3 levels, with a difference of $150 between each level, the park provides customers with clearer options to pay for what they want. This is certainly an improvement from the old Annual Pass which had a large gap of $780 in between Fun Pass and Superstar Pass. It appears that the park has enjoyed its success during soft-opening and is shifting its strategies to pump attendance rates – by luring as many regulars as possible. It might be a good time to start work on seasonal programme now if the park wishes to retain large pools of long-term passholders. Perhaps the park could offer complimentary parking in the future for the upper-tier Annual Passes, or sell it as an add-on. As for the Action Pass, I felt that it was a right move. In my opinion, it doesn’t make much sense to get a Fun Pass anymore as a year’s access only cost $150 more. While the Fun Pass’ validity dates are very generous (Black-out dates on those high peak days that you’d wish you’re never at the park anyway), from personal experience it can become a hindrance when you have to bring a group of friends into the park and half of them can only make it on a black-out day. It happens. However, if you only want to visit during off-peak periods then there is really no point in spending the another $150 for access on black-out dates. Other nice touches include a VIP turnstile into the park which will be very useful to get into the park quickly, as Annual Passholders do not have “idiosyncratic ticketing issues” at the park gates. This VIP turnstile is at the extreme left end of the park entrance. Just scan your Pass card and enter!